- 1h+ extracting the charas..
- so i cut the bg from the original pic..filtered,painted [ remember i told you i'm beginning to like it? XD ,brushed on top what i wanted so that it will look like I wanted it to. Well,I didn't want to complicate this one too much..so this'll be it. A very well done wallpaper, its a bit compact from the looks of it. 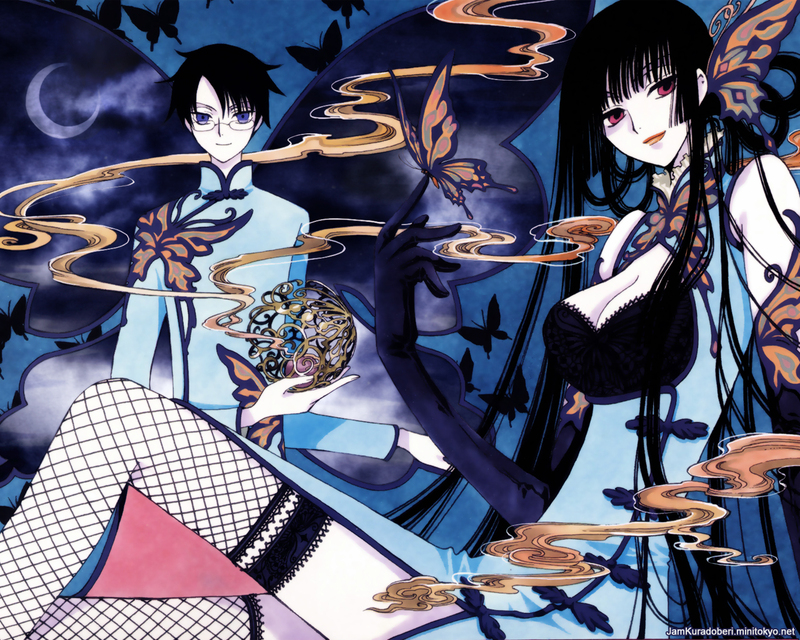 I know XXXHOLiC is like this, but it only feels a bit weird. i love this picture =3 as you can see from my displaypage =P i love it its so KAWAII. i love holic so im crazyy =P definate favs. yea, I'm sure it was hard to extract the scan but you did a great job. The color style is very good,like it very nuch! Awesome! Good job! Thank you for sharing!